Anh Do nearly didn't make it to Australia. His entire family came close to losing their lives on the sea as they escaped from war-torn Vietnam in an overcrowded boat. But nothing - not murderous pirates, nor the imminent threat of death by hunger, disease or dehydration as they drifted for days - could quench their desire to make a better life in the country they had dreamed about. Life in Australia was hard, an endless succession of back-breaking work, crowded rooms, ruthless landlords and make-do everything. Things got harder when their father left home when Anh was 13, and their mother struggled to support the family on her own. His mother's sacrifice was an inspiration to Anh. Another inspiration was the comedian Anh met when he was about to sign on for a 60-hour a week corporate job. Anh asked how many hours he worked. "Four," came the answer, and that was it. He was going to be a comedian! 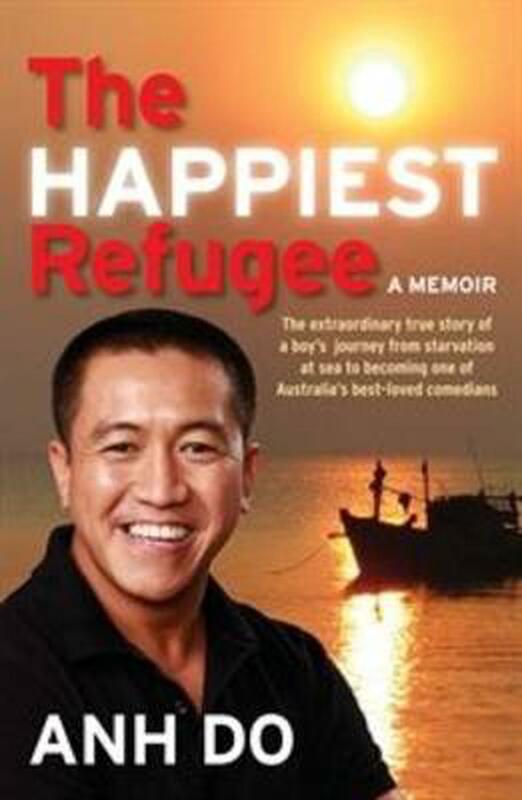 The Happiest Refugee tells the uplifting and inspiring life story of one of our favourite personalities. Tragedy, humour, heartache and unswerving determination - a big life with big dreams. Anh's story will move and amuse all who read it.